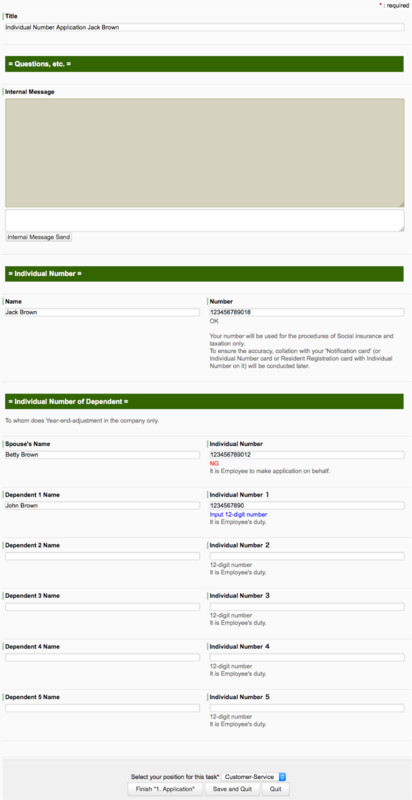 In assumption of Individual Number Act, it is duties of company side which are 1) to obtain accurate 12-digit number, and 2) to confirm its identification. However, you cannot say "Don't screw it up!" to an employee who has many children, because he or she have to type 12-digit numbers as much as family members. 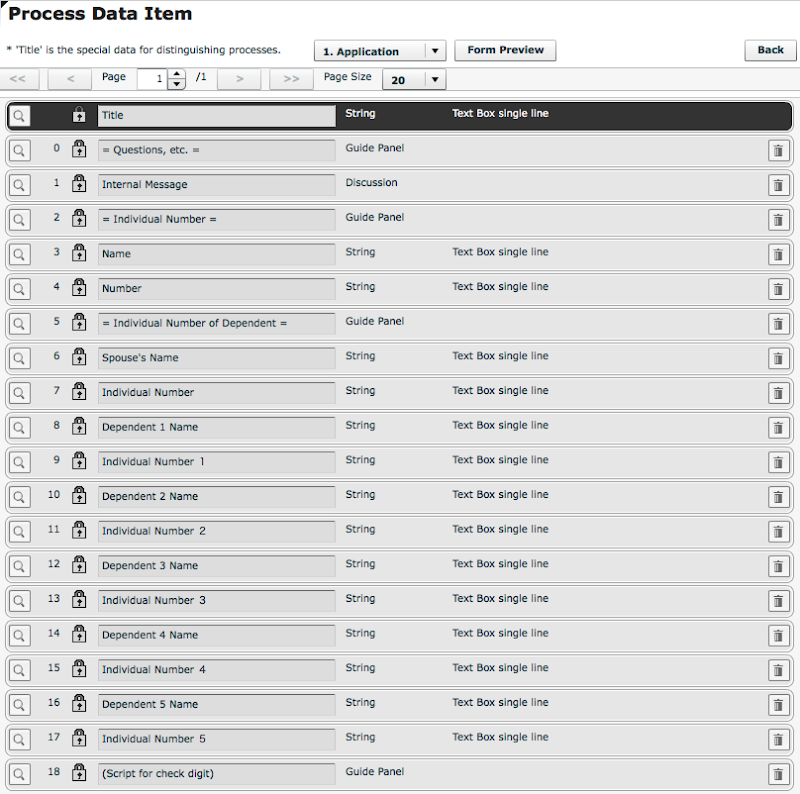 In the following Workflow, it performs "Check Digit Verification" upon entering Individual number. 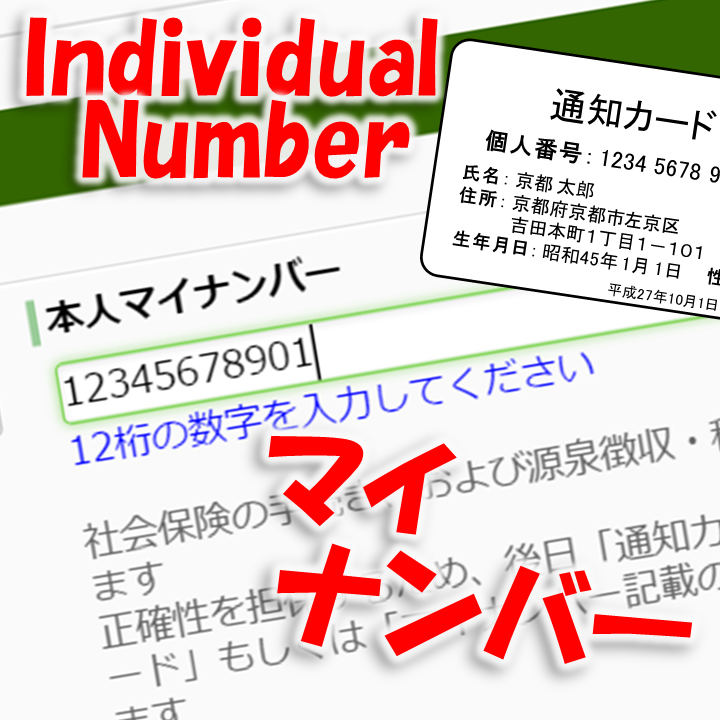 That is, it will alert an input error if the 12-digit number is "impossible for an Individual number" upon entry. This scheme alone will reduce erroneous input significantly. By the way, this Workflow is an expansion of previous entry, so the basic flow and data item definitions are the same. First of all, what is the "Check Digit"? 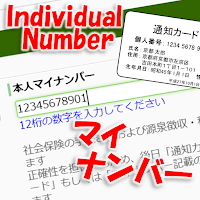 I'll leave it to google about the general definition, but about the Individual number in Japan, the 12th digit of 12-digit number is the "Check Digit number". So the 12-digit number is consisted of "11-digit number that Institution generated by a method of randomly" and "single digit number for verification added at the end". * Pn is the number that the least significant of 11 digits as the first digit. Qn is (n + 1) when up to 6 digits, (n-5)when more than 7 digits.